A Nassau County criminal attorney represents people charged with crimes. These crimes can differ in gravity from a simple misdemeanor to something as serious as a felony. The punishment to these crimes can vary from small fines, community service or years in prison of maybe death. Acquiring representation at criminal proceedings is important for people charged with crimes. As a matter of fact, the constitution of the U.S. assures that those persons with criminal charges will be given representation. If you are searching for the services of a criminal attorney, you should know the services your lawyer can perform. Why Are Nassau County Criminal Attorneys Crucial? Criminal law is a complicated body of federal and state legislation. Actually, every state has its own punishments and definitions of state crimes. Majority of these crimes are considered state crimes. Exclusions include those causing imposing injury on a federal employee or creating damage to property. An average person won’t have a concrete understanding of criminal justice process or criminal law. 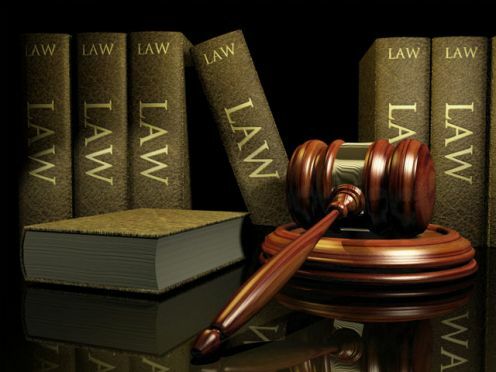 Unluckily, ignorance or not understanding any criminal law is not a sufficient defense to prevent being found guilty. Even if a person has the choice to represent himself during a criminal proceeding, the results of obtaining meager representation can be harsh. Minor crimes like misdemeanors may only entail a short jail sentence or minor fine. However, felonies are graver and can lead to long prison sentences. This is what makes it crucial to get representation from a person that has knowledge about the law. Criminal attorneys can help their clients all throughout the process of criminal justice such as pre-trial. Several people opt to get a lawyer while the crime is still under investigation, even before the charges are filed. This commonly happens when a person is suspected of a crime and thinks that he will be charged sooner or later. For this instance, Nassau County criminal attorney can help train the person during questioning of authorities to make sure that the suspect does not say anything that will reveal any information that incriminate him. A criminal attorney can also assist in persuading a court to drop charges against a person according to improper process or insufficient evidence. For instance, in a lot of cases a police officer should have probable cause before arresting a person. Probable cause is a convincing reason to make others believe that a person may have done a crime. Nassau County criminal attorney have a hinted understanding of probable cause like it is described inside your jurisdiction and should be able to create a challenge to police officers’ reasoning in court. If your lawyer can prove that the officer doesn’t have probable cause to arrest you, the charges can be dropped before trial. If you are wanting a Nassay County criminal attorney, you can obtain insistent and careful defense representation from Guy J. Allen His legal office can be found in Hempstead, New York. He also serves Nassau County, the 5 NY Burroughs and the nearby areas. He has more than 30 years of experience handling criminal defense for various cases like domestic violence, drug offenses, drunk driving and others.